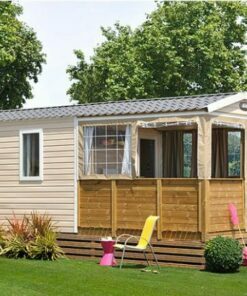 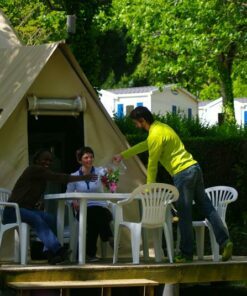 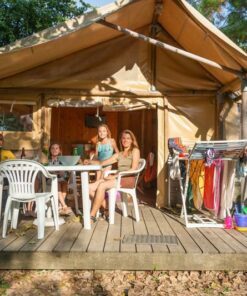 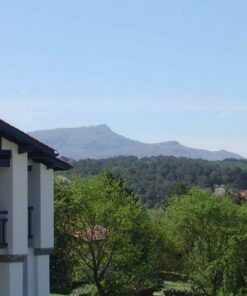 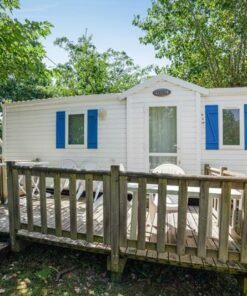 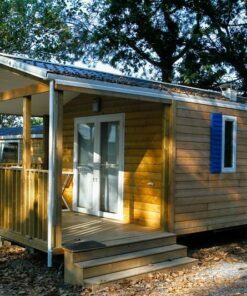 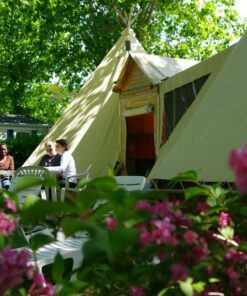 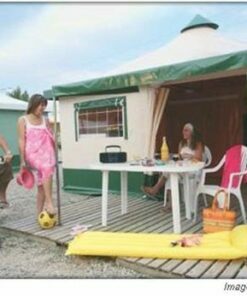 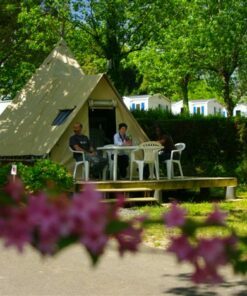 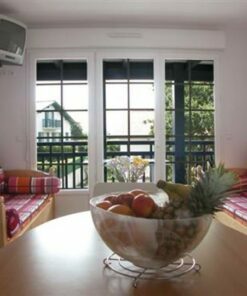 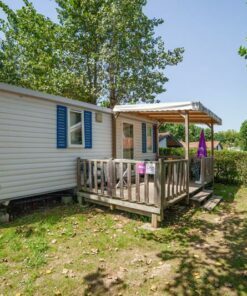 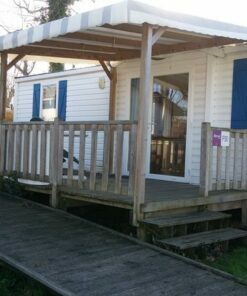 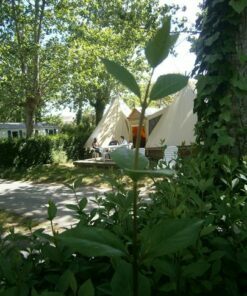 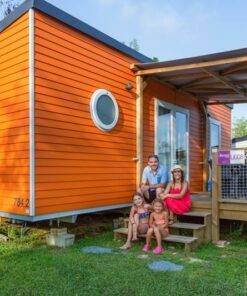 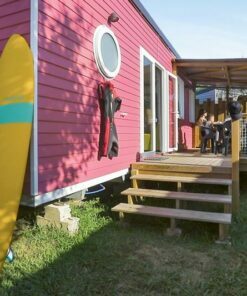 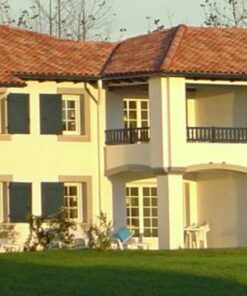 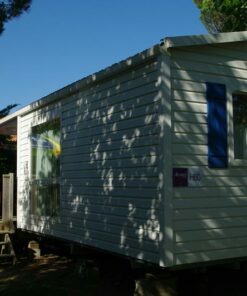 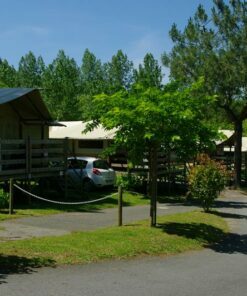 Camping 4**** in Bidart in the Basque Country, rent our flagship model of 2-bedroom mobile homes for an exceptional stay of 4 to 6 people. 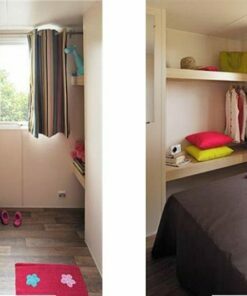 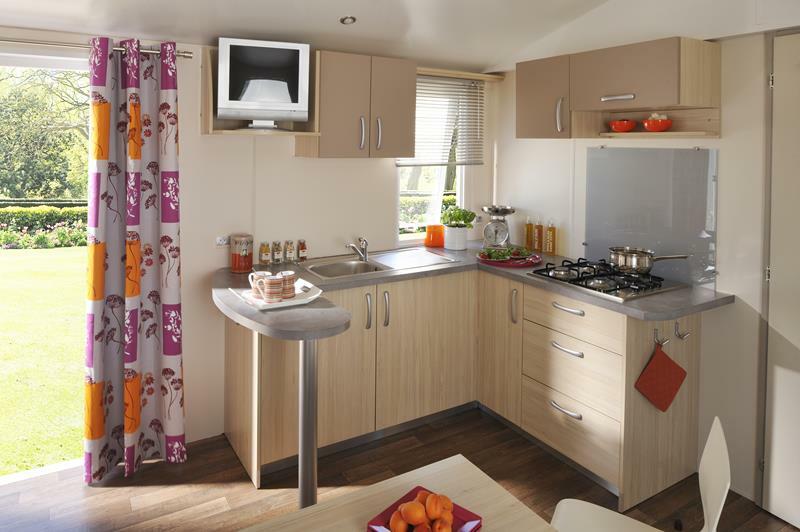 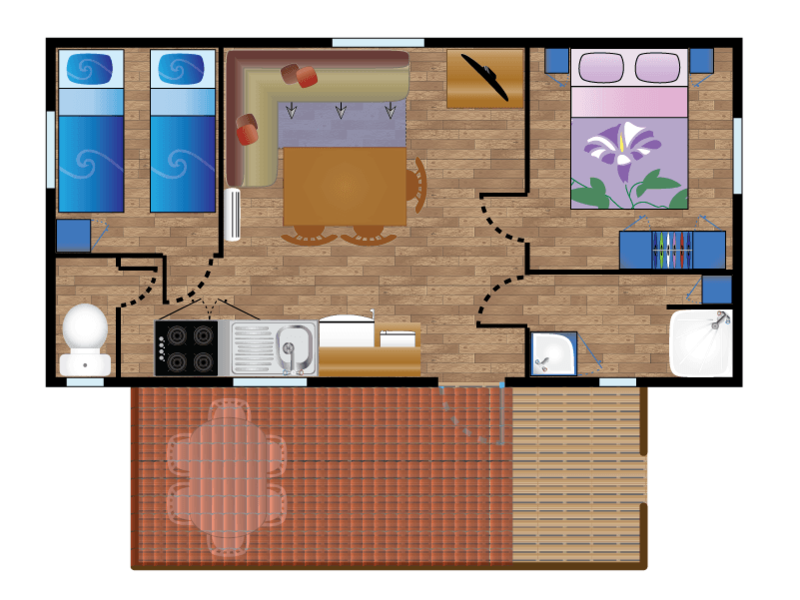 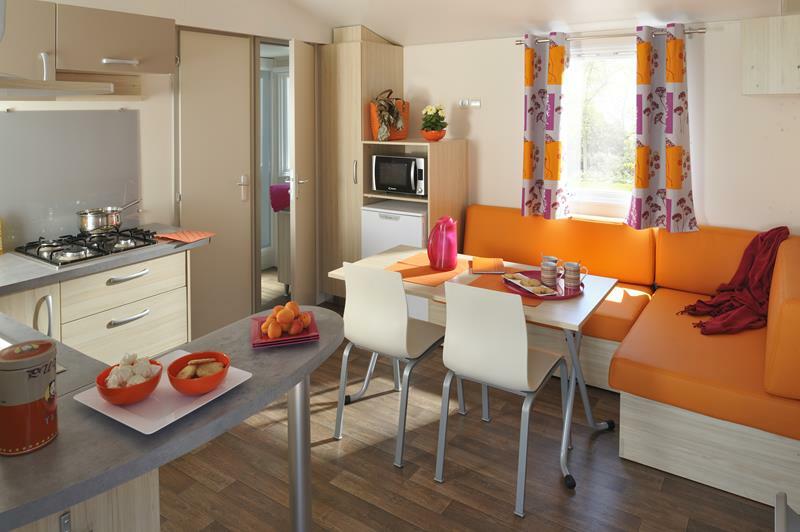 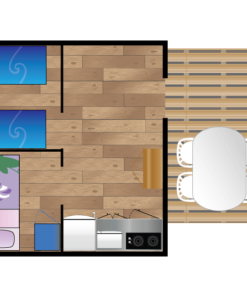 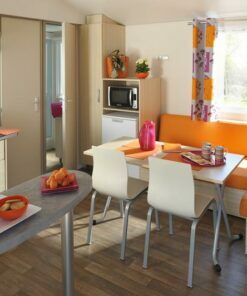 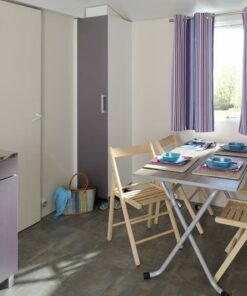 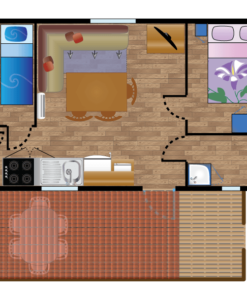 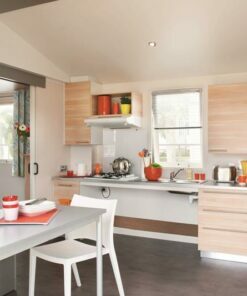 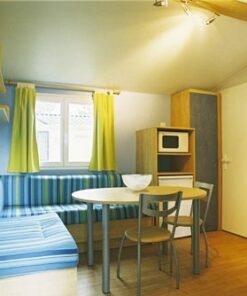 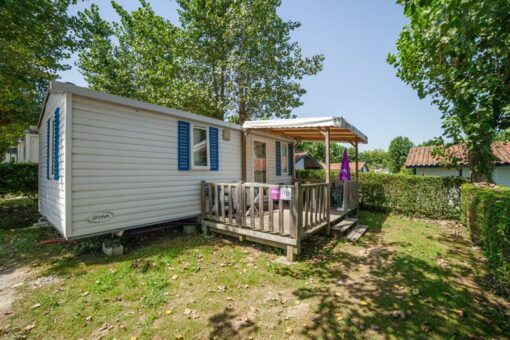 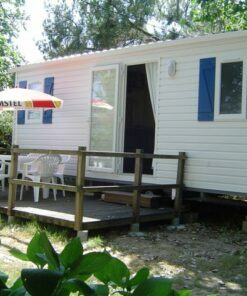 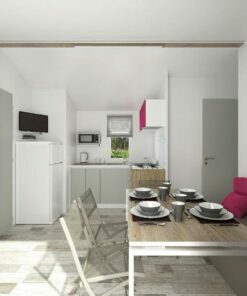 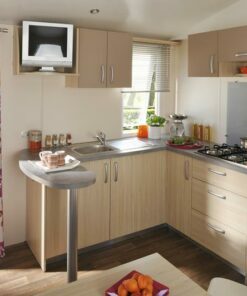 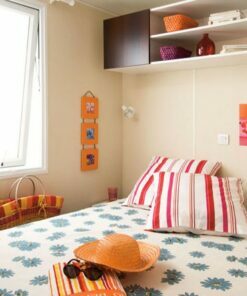 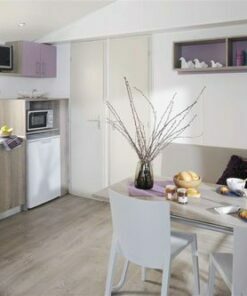 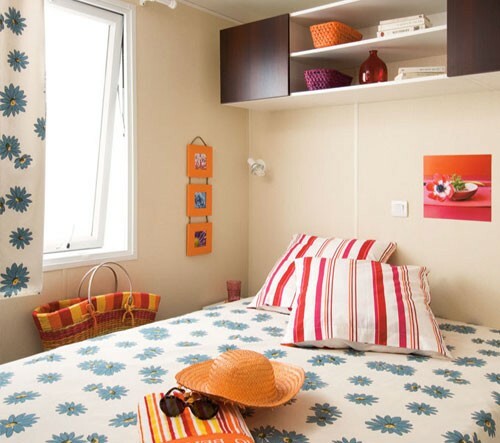 Also, the Iparla mobile home with its covered terrace offers you a fresh and comfortable space for up to 4/6 people. 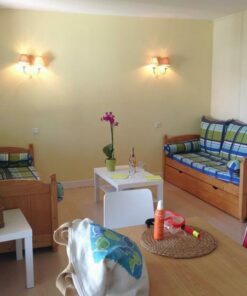 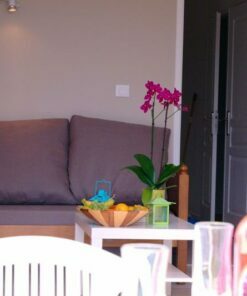 This reference holiday accommodation is perfect for families looking for a lounge area with a sofa bed to optimize. 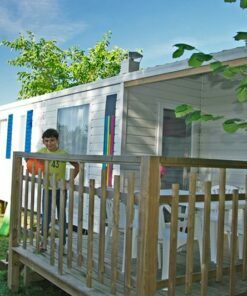 Finally, enjoy our unique campsite in the Basque Country, equipped with a water park and a swimming pool. 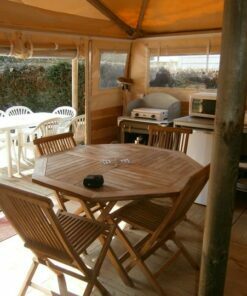 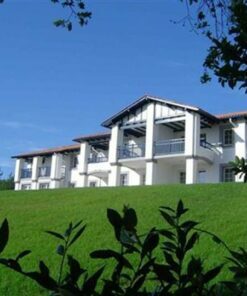 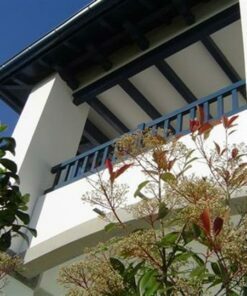 The Oyam café, the aquatic area and the playground complete this holiday accommodation.